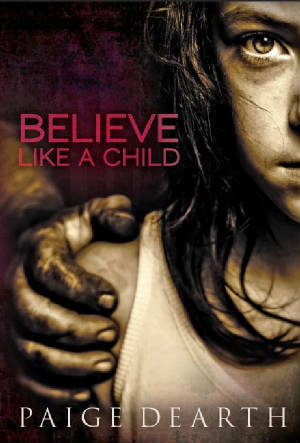 Alessa is just seven years old when her uncle rapes her for the first time. As the years pass, his sexual appetite becomes more voracious and his perversion more twisted, until the abuse has become almost a daily ritual, with the unspoken involvement of the girl's mother. At the age of sixteen, after the death of her only friend, Alessa finds herself at the mercy of her real-life monster, with no relief in sight. She flees her home to escape this hell, only to find herself descending into a more dangerous one. Alone and helpless in the streets of North Philadelphia, she encounters more human predators who want to take over her life and devour her. About to hit rock bottom, Alessa manages to break away from her new tormentors and finds refuge in a shelter for homeless and abused women. Wherever she goes, however, trouble keeps seeking her out, until she meets three people who change the course of her life forever. Though Alessa's bittersweet journey is perpetually fraught with challenges, she does, nevertheless, manage to find fleeting moments of joy along the way. But as she begins to settle down, a ghost from the past comes to haunt her again, threatening to destroy the very foundation of her small world and plunging her back into an abyss of despair, until she makes her final bid for escape.